Understanding the Reggio Approach is a much needed source of information for those wishing to extend and consolidate their understanding of the Reggio Approach. It enables analysis of the essential elements of this particular approach to early childhood teaching and the relationship it holds with quality early years practice. Examples from infant-toddler centres and preschools in Reggio Emilia. Reflections that can be used as the basis for continuing professional development and action research. Linda Thornton has extensive experience in the field of education and childcare. She has provided consultancy and training for local authorities, children’s centres, nurseries and schools across the UK. Pat Brunton has provided training and consultancy for local authorities, children’s centres, nurseries and schools across the UK. 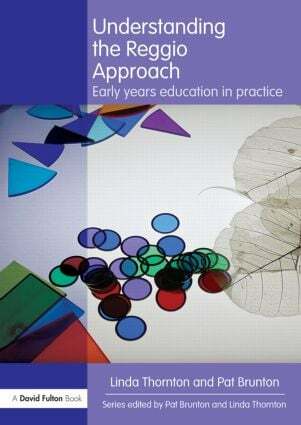 Understanding the … Approach is new series providing a much needed source of information for those wishing to extend and consolidate their understanding of international approaches to early years education and childcare. The books will enable the reader to analyse the essential elements of each approach and its relationship to quality early years practice. Written to support the work of all those in the field of early years education and childcare, these will be invaluable texts for students, early years and childcare practitioners, teachers, early years professionals, children’s centre professionals, lecturers, advisory teachers, head teachers and setting managers.